Lake Kariba has fallen to 12 percent of its capacity, hitting the fishing industry and also vital hydroelectric power production in Zambia and Zimbabwe, according to the dam's operators. This time last year, the lake was 51 percent full. Kariba's maximum storage of an enormous 185 cubic kilometres (44.4 cubic miles) of water makes it the earth's largest man-made lake by volume. John Chiringa, who runs a fishing company in Kariba town, said kapenta—a small, sardine-like fish—are hunted commercially by some 400 boats, known as rigs, at any one time. 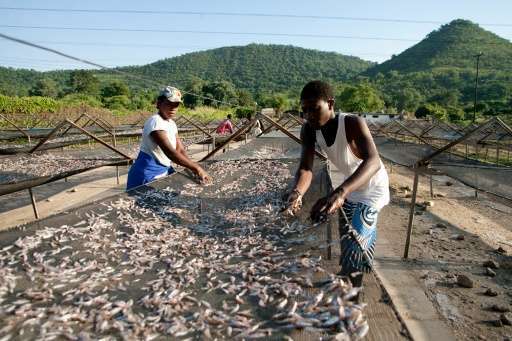 The low water levels have dried up business, Hakurotwi Shonhiwa, chairman of the Indigenous Kapenta Fishers' Association on the Zimbabwean side of the lake, told AFP. Dipuka said that with an average daily catch of 20 kilogrammes (44 pounds), he could pocket $40 a day, but now he can barely catch one kilogramme. The region's severe drought has been caused largely by poor rains due to the El Nino weather phenomeon. And the hardships from low water levels stretch far beyond the shores of Lake Kariba. Located 400 kilometres (250 miles) downstream from the Victoria Falls, the dam feeds water to two hydroelectric stations capable of generating 750 megawatts of electricity for Zimbabwe and 600 MW for Zambia. 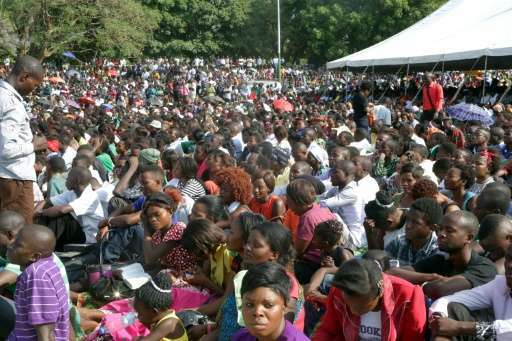 ZESA spokesman Fullard Gwasira said the authority had adopted "mitigatory measures" including power imports and turning to alternative energy sources to maintain local supplies.